Advt No: 02 of 2019. 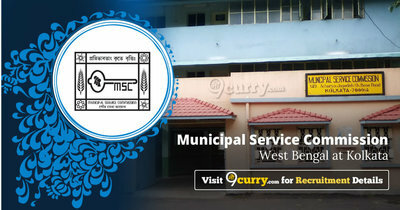 MSCWB Recruitment 2019 - Apply Online for Assistant Engineer Post in MSCWB, Kolkata, West Bengal. Online Applications are invited by Municipal Service Commission, West Bengal from 13 Feb 2019 to 16 Mar 2019 for 1 vacancy. Bank Charges for Challan deposit. Pay the Examination Fee through the United Bank of India and the same to be deposited to Account No. 0088010367936 through Challan. B.E/ B.Tech in Electrical Engineering from any University recognized by Govt. Candidates log on to http://mscwbonline.applythrunet.co.in/. Click on “Sign Up Now”, if you are a new user. Fihe all details in the application & upload Photo, Signature.